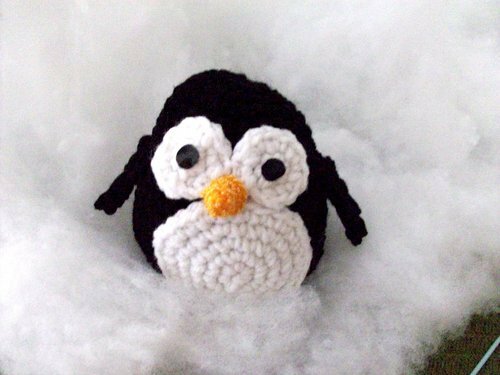 I also made this little penguin for my friend Darlene. It is the simplest pattern available on my site thus-far. She decided to name him Olie the Penguin, so Olie is approximately 4 1/2 inches tall. 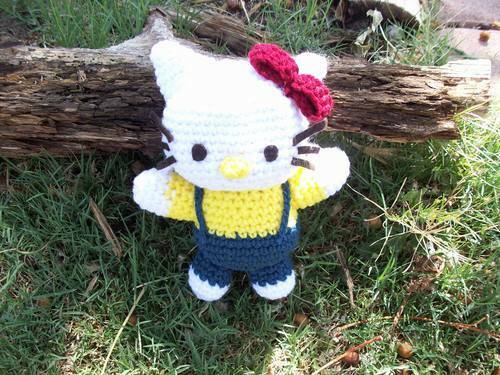 This is an amigurumi Hello Kitty I crocheted for my friend Darlene. I’ve been visiting home for about two weeks now and I’m usually crocheting while watching TV with my mom and dad ^_^ . She stands about 7 inches tall. I had a good time making her and the best part was Darlene’s reaction. I work hard on some of these patterns, and they can get frustrating, but after I give them to their new “owners”, I feel so proud and ready to share them with you all. There are more pictures at the bottom of the pattern. 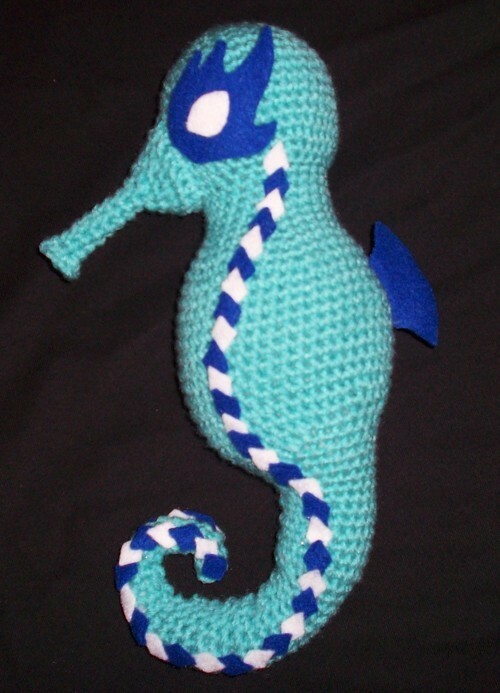 Aaron and I went to visit his mom and little sister in Minnesota for a week and during that visit, I decided to crochet a seahorse, since I have seen so few free patterns offered for one. I wasn’t too crazy about the color scheme of mine. 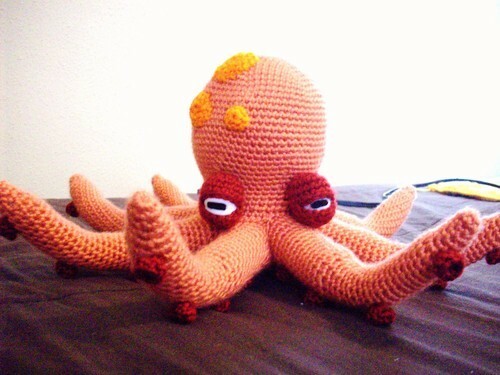 I would have rather had a golden yarn with rainbow colored stripes and eyes, but it’s all good. His name is Senor Seahorse since he kinda looks like a luchador. But you can do whatever you want with it’s features. This pattern is for the entire body and snout. 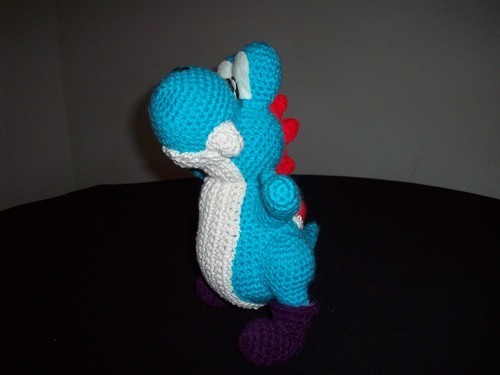 Here is a free amigurumi Yoshi pattern I made.I was inspired to make this after making an amigurumi super mario for my brother.This amigurmi Yoshi took me a few days to complete, mainly because I was trying to keep track of my pattern so I could post it here for everyone. I used a turquoise color only because I had no green, but remember that Yoshies come in different colors and yours can be any color of your choice. The finished product should measure approximately 10 1/2 – 11 inches tall.